With a flurry of festive fundraising events being held over the next few weeks, charities and community organisations are being warned to be on the look-out for fake bank notes which are being circulated in the Worcester Park area. "The 5th Worcester Park Guides found four fake £20 notes amongst their takings the other weekend, and were advised by the bank and the local police that fraudsters are targeting small, local, charitable events, such as Christmas Fairs as it is easier to pass fake notes at such events." So organisers and stallholders, please check any £20 notes that come your way. 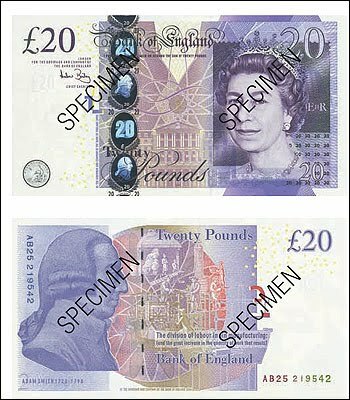 Advice on how to check authenticity of £20 notes is available on the Bank Of England's website.